LONDON — Of all the things worth protecting, wine is most certainly a top priority. That’s why someone had the top-notch idea of creating a “wine condom” for your prized bottle of wine. No, we’re not talking about wine-flavoured condoms (though that’s a great idea). 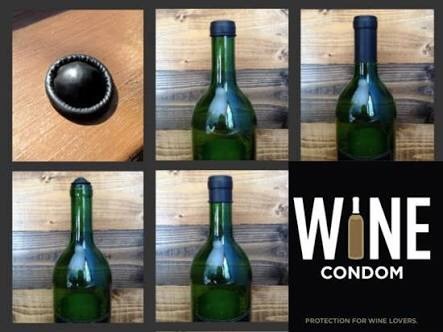 These condoms are actually really useful wine stoppers that create a water- and air-tight seal. The condoms use shrink-to-fit technology which means they can fit over almost any bottle — including beer and spirit bottles — to keep your booze fresher for longer. 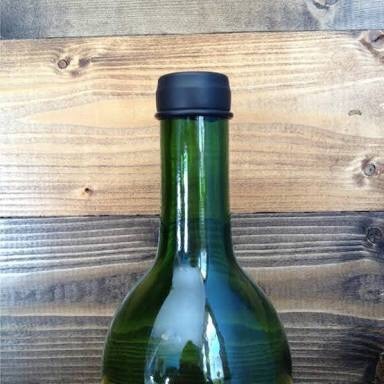 There’s an added bonus too: unlike conventional wine stoppers, these don’t add any extra height to your bottle, so you don’t have to worry about positioning your prized vino at an awkward angle in the fridge. Alack, the condoms can’t be used on champagne and prosecco because the gas creates a “weird condom balloon”. The condoms — made from 100 percent rubber — come packaged in the usual foil-wrapped packaging and are available in “tuxedo black”. Each packet comes with a resealable pouch so you can get more than one use out of your condoms. Packs of six condoms are available for pre-order at Firebox for £12.99 ($15.70). Next Post Would You Get a haircut from a slutty barber?